Bellator 149: “Shamrock vs. Gracie” took place Feb. 19, 2016 at Toyota Center in Houston, Texas. Even though the third and final encounter between Ken Shamrock and Royce Gracie headlined, history will also remember the show as the last fight of the late Kevin “Kimbo Slice” Ferguson. 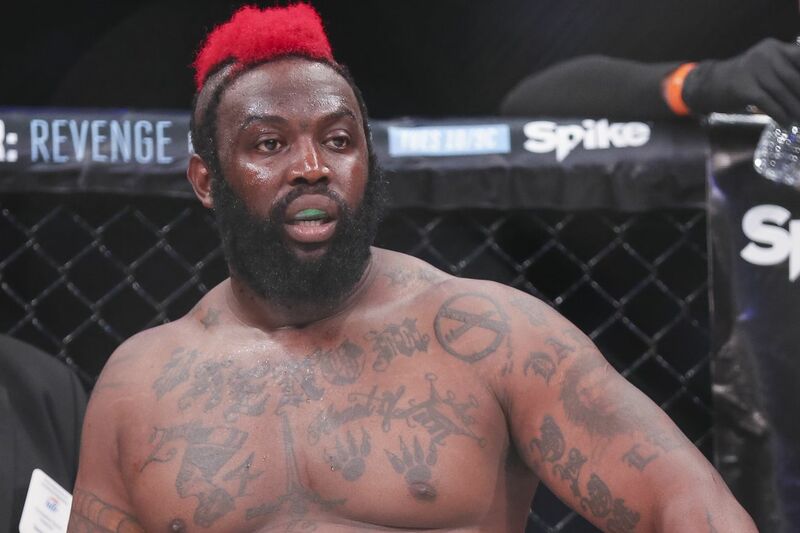 Dhafir “Dada 5000” Harris had a rough night in February after his loss to Kimbo. Harris left on a stretcher that night and had an extended stay at the hospital afterward, but he’s still alive today and has a story to tell. Speaking to Paul Gant on the Go 4 It show, Dada reveals a new side to their historic encounter that you’ve likely never heard before, one that involves him being POISONED before their epic battle. That’s not the only thing Dada is insinuating. Mr. Harris may see another conspiracy in the fact Kimbo tested positive for performance enhancing drugs after their fight was over. So far on Dada’s laundry list we have him being poisoned before the fight, and being sent out against a juiced-up monster in a drug-addled state, but for the coup de grâce he implies it was an intricate plot to destroy his credibility. “Lasted” is really the only accurate word for a fight that did not deliver on its promises, but Harris insists that the bout made Kimbo out to be the real charlatan. God bless the dead though, because only Dada is still around to give his side of the story. Is Conor McGregor the UFC’s Top Pound-for-Pound Fighter?